I love to try out all sorts of beauty products from face creams to make up. 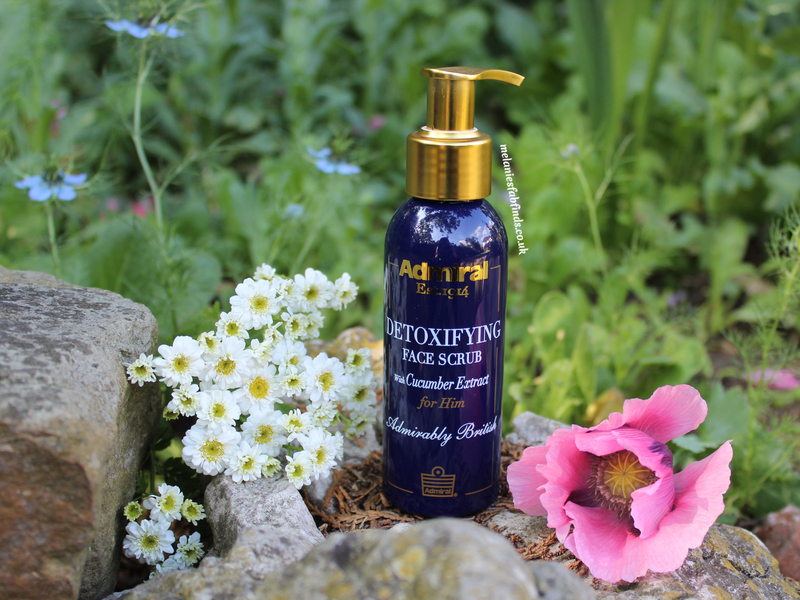 I make a point of using creams that contain specific ingredients which have proven anti ageing effects. It’s not just women’s skin that needs a bit of TLC, protection and support. Men encounter the same skin issues from dull to dehydrated and ageing skin. My husband really doesn’t do much research into what he uses and will buy items himself most often from one of the local supermarkets when he needs them. I wanted to try to encourage him to start using products to help improve his facial skin appearance and make it glow with health rather than look tired – you might feel it but you don’t necessarily need to look it! For Father’s Day I was sent some goodies for my husband from a company called Admiral Male Grooming. I actually gave him them a few weeks earlier as I got overly excited and wanted him to get started on these asap. The Daily Essentials Trio screamed “pick me, pick me” from the web site when selecting and was exactly what I was looking for. The gift set contained Their Daily Essentials Trio including a Moisturising Body Wash, Hydrate & Shine 2 in 1 Shampoo & Conditioner, Antioxidant Moisturising Balm. This sounded great and I loved that it had avocado as it’s a natural moisturiser and soothing to the scalp. The shampoo and conditioner leaves the hair looking shiny and feeling soft having seen the after effects when my husband used it. Always a good product to buy when your partner / husband doesn’t moisturise after a shower as this not only moisturises the skin but also nourishes and soothes leaving the skin clean, feeling soft and smelling masculine. It helps to repair damaged skin and prevent against wrinkles. My husband hardly ever moisturises. My plan was to to give him one in a set that smelt nice and manly to encourage him to use it, it worked!!!! The balm has helped give his skin that much needed moisture it was lacking and the artichoke extract in this helps to regenerate skin and reduce any inflammation and redness especially after shaving. It’s a good product for men that want to combat the signs of ageing. Unless I buy a facial scrub with a feminine fragrance my husband tends to steal mine and then before I know it it’s run out. Of course I have to discover this for myself when I next go to use it and it’s empty so the detoxifying face scrub was an obvious choice for him. With a masculine fragrance this was an ideal choice. This was great as it removes dirt and dead skin making the skin look brighter and healthier and reducing the risk of blemishes due to clogged pores. The cucumber extract gives an antioxidant boost and also contains silica, both of which fight the signs of ageing. 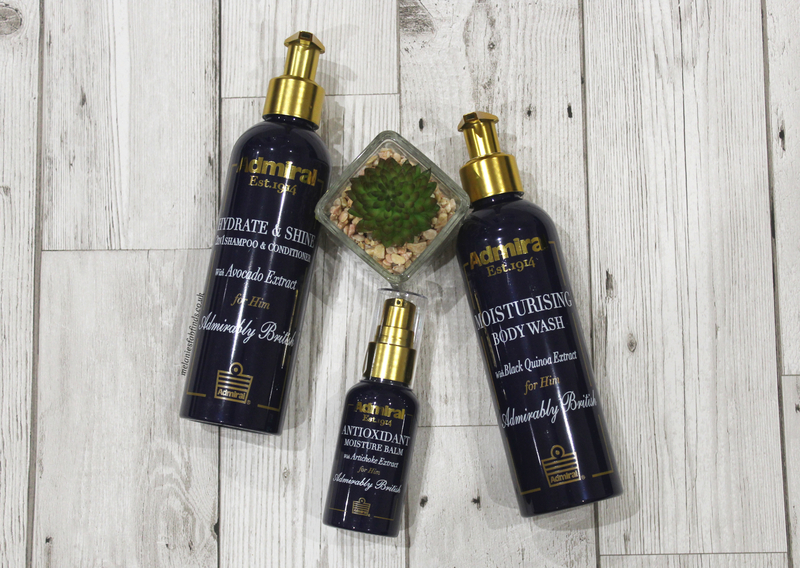 These combined help to soothe and cool both sensitive skin and irritated skin after shaving. My husband loves to style his hair and whatever it is that he was using before isn’t one I approve of. It leaves a nasty residue on his hair which I really dislike. Fortunately this isn’t the case with the hair moulding paste from Admiral. My husband was pleased from the first application with the paste and found that it held his hair in place very well. These products are made in the UK and in addition are cruelty free. My husband was pleased with the scent of these which is woody and citrusy. These make great gifts for the men in our lives all through the year whether it’s a birthday, Father’s Day, Christmas or simply to say thank you, or I think your fab! These are also on sale at the moment so anyone that needs men gifts might like to go take a look at the site. What do you think of these products? Do you have a partner, husband, dad or son that would be keen to try products that would help improve the appearance of their skin? 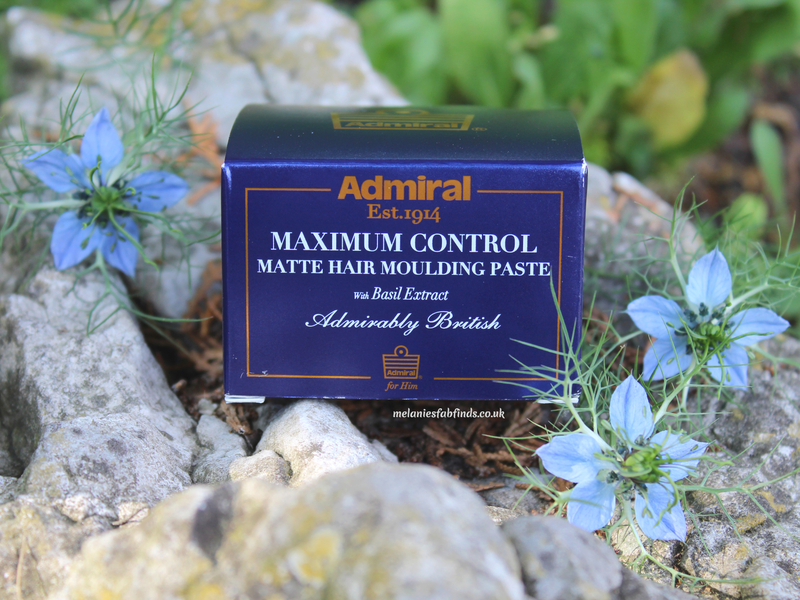 This sounds like a unique range of products, I have to admit I’ve not heard of Admiral before I’ll have to share it with Ash as he’s after some new products. It can help to get rid of excess build up of dirt so he’ll find it helps his skin look great with regular use. That’s good, my husband quite liked it and has stopped using mine, yaaaayyyyy. My husband has started to take better care of his skin, but I still don’t think he truly ‘gets’ skinc care. These look gorgeous though, they’d be a great gift! They sure do make a really good gift. They seem like really great products and glad that hubby loves them. He sure did. he was pleased the scrub helped brighten his skin. The body wash is great. My husband liked the aroma. Some great items here. Going to get one of these for my Dad! Its great to see some really aesthetically male grooming products that are also cruelty free. The facial scrub sound like it does a great job so maybe I should get some for my hubby. I like the sound of the face scrub. I will check that out for the hubby. Oh these look great and the packaging is so masculine too! They sound fab! These are awesome products. I personally want to let my husband try the moisturizing body product. I’m sure he’ll love it. I’ve not heard of these before but will recommend them to my brother who loves his grooming products!